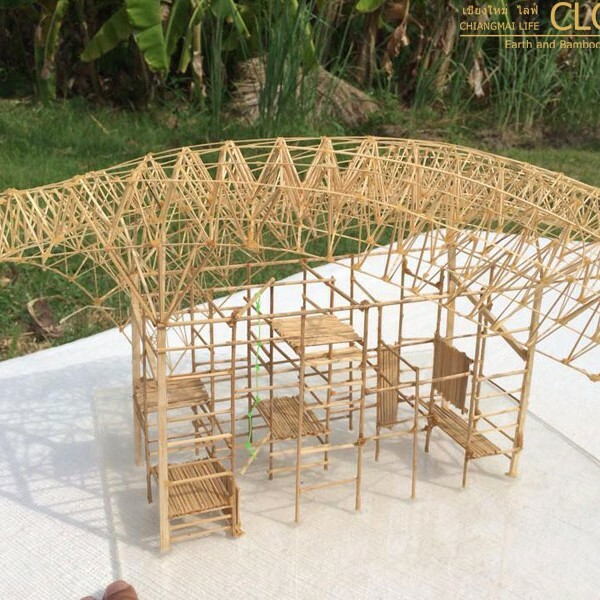 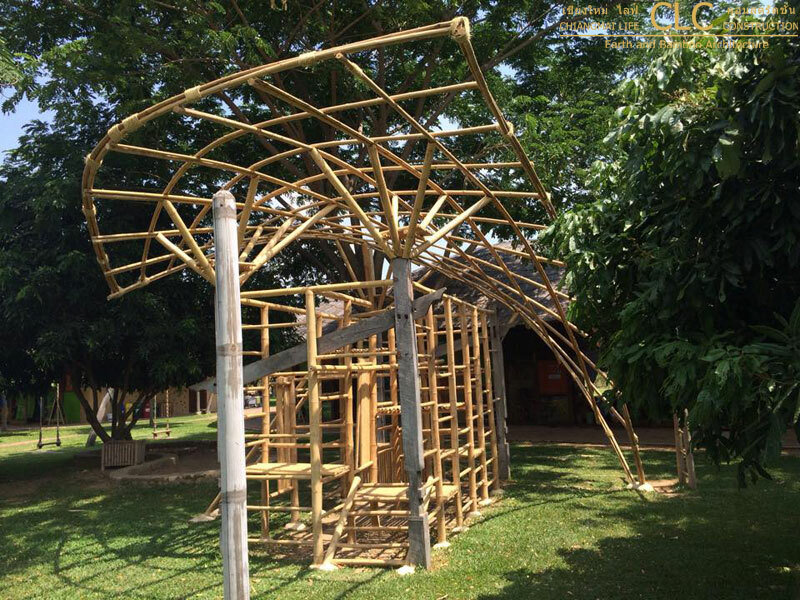 This was our first venture into bamboo space frame design. 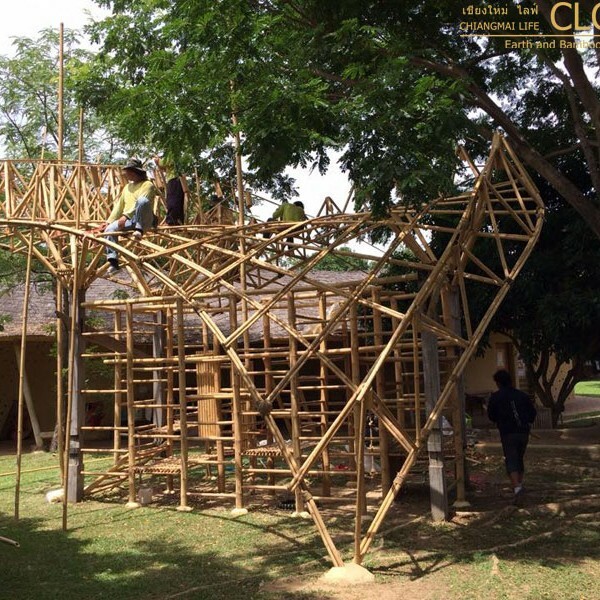 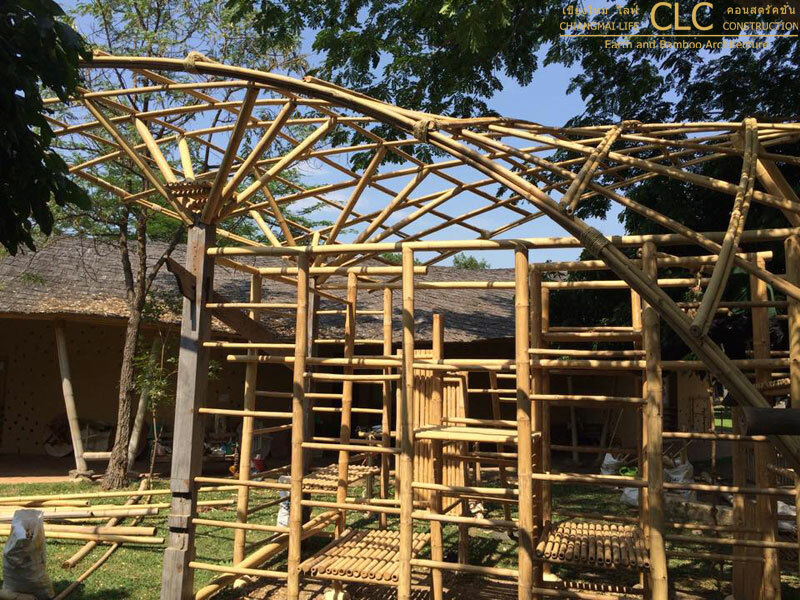 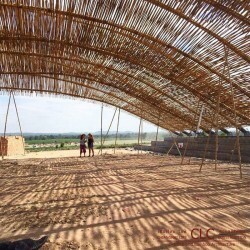 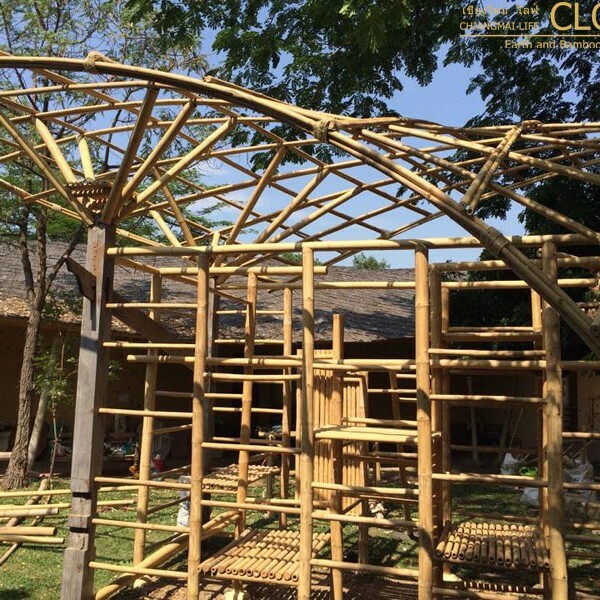 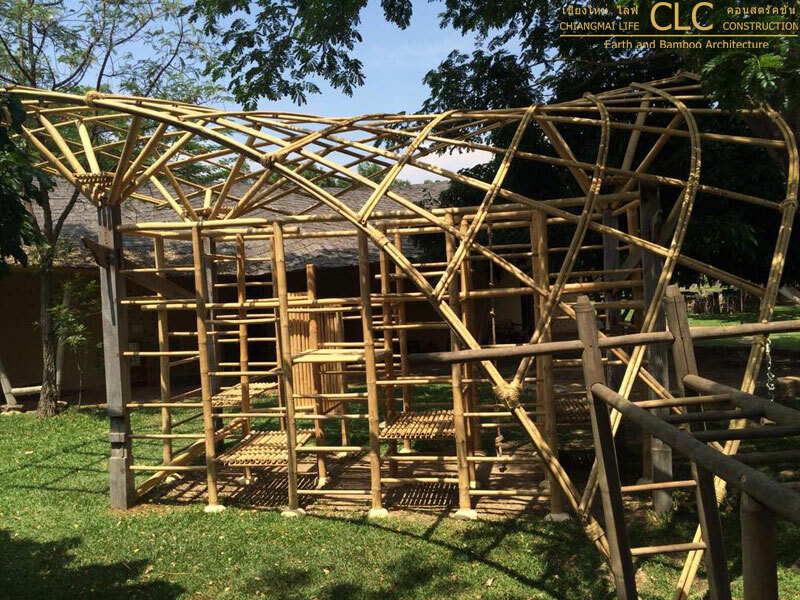 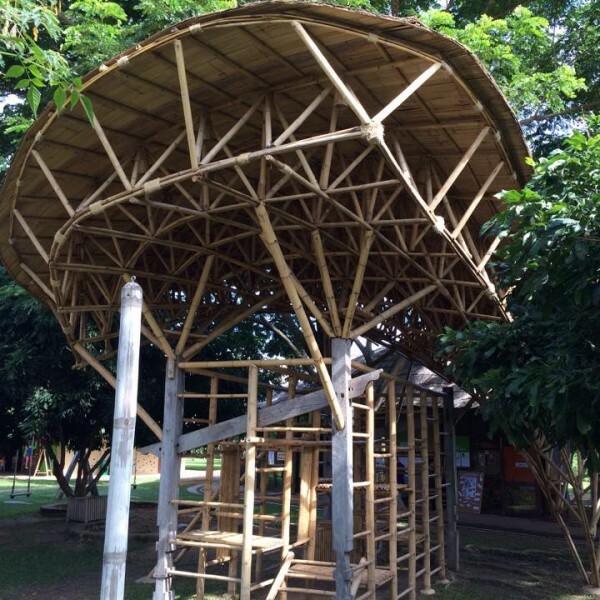 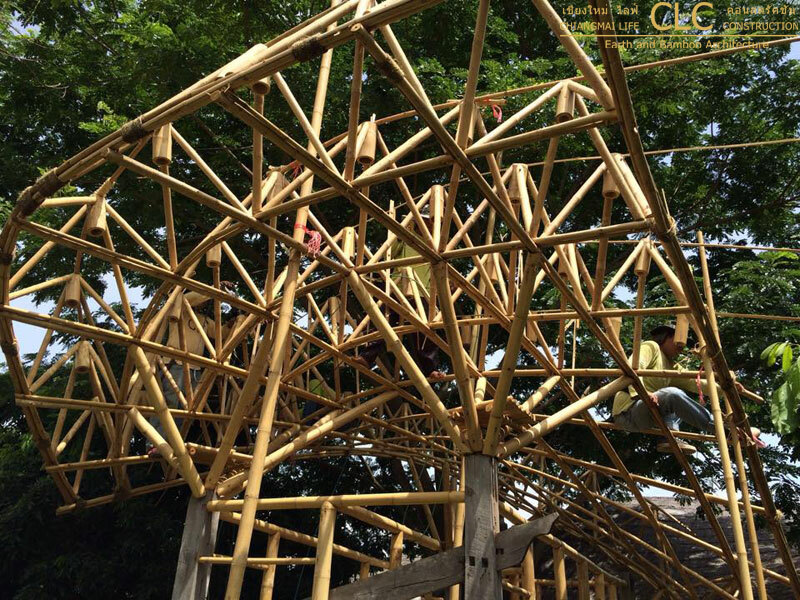 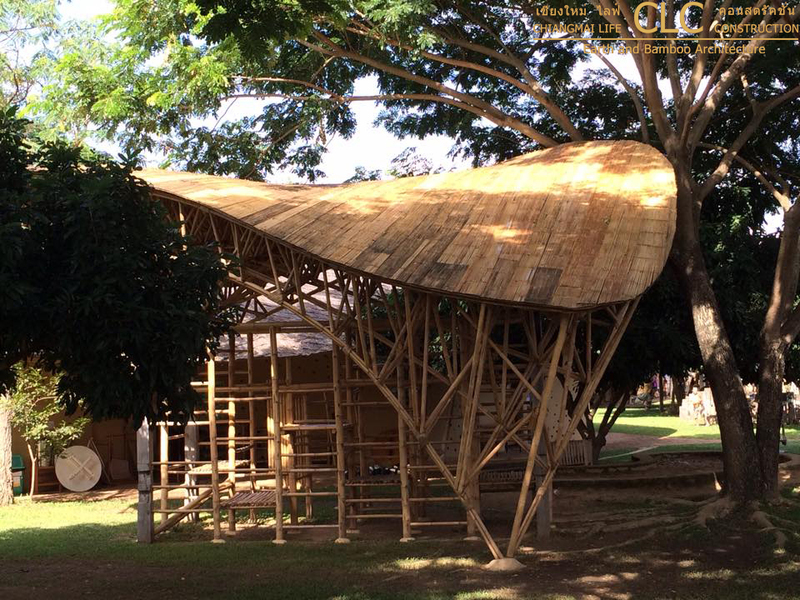 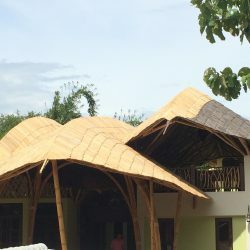 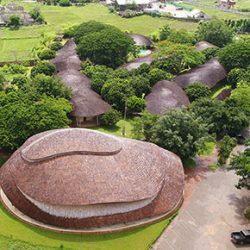 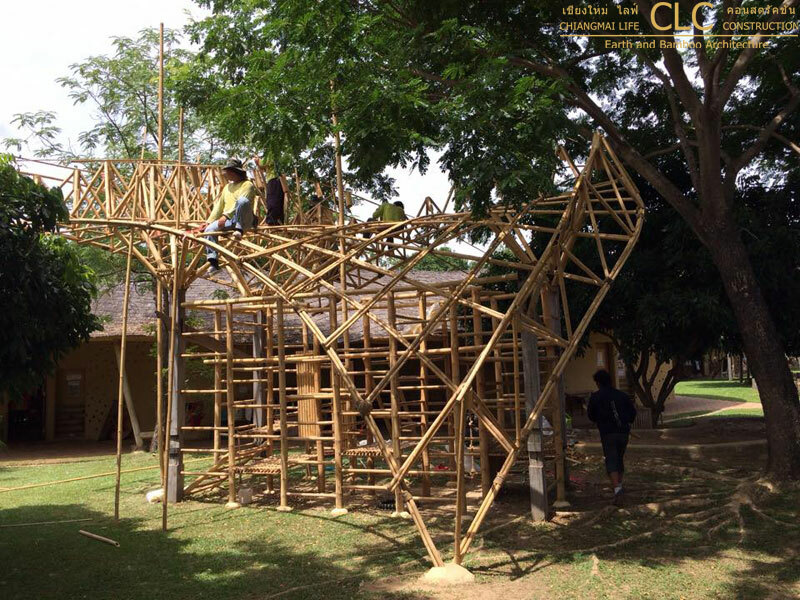 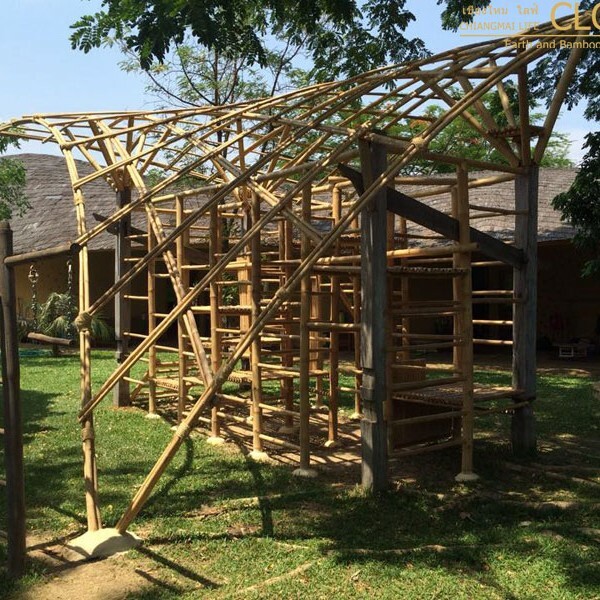 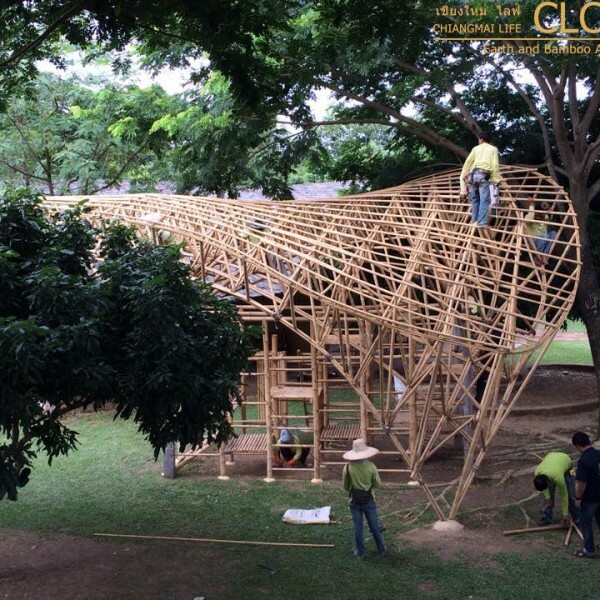 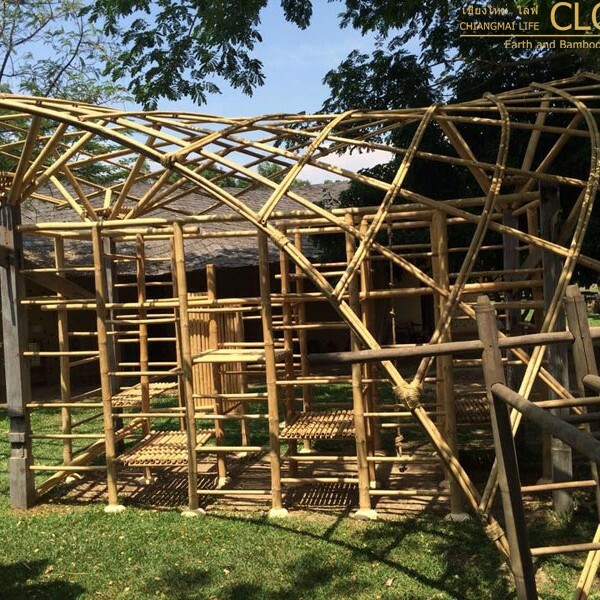 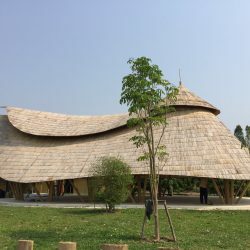 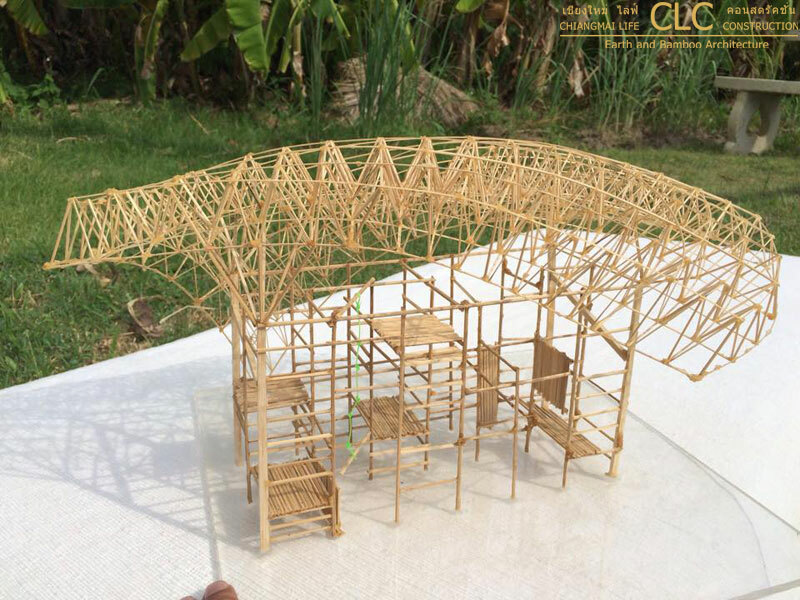 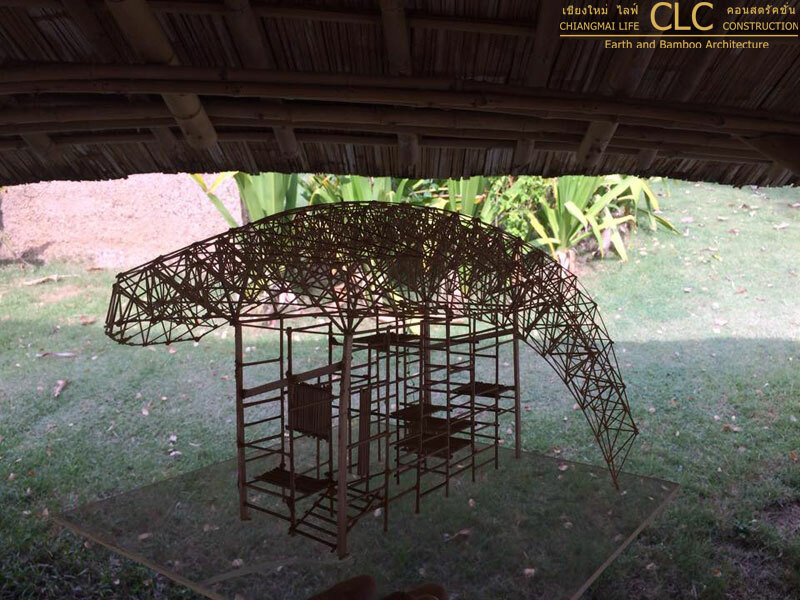 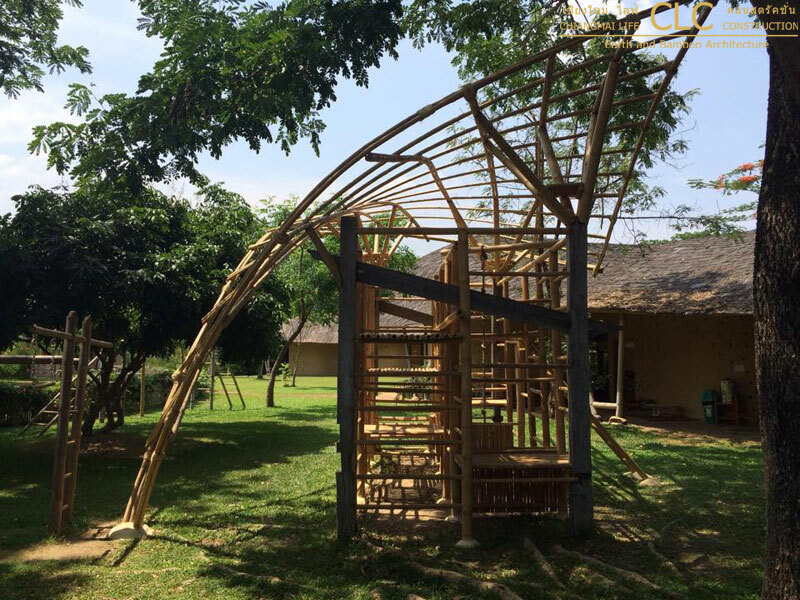 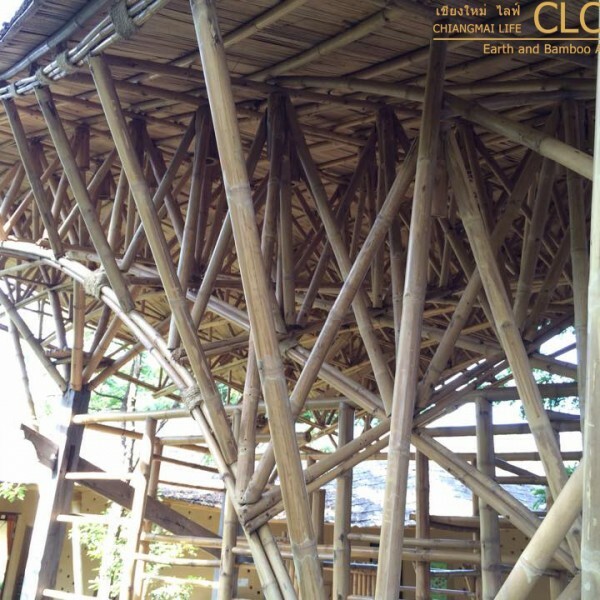 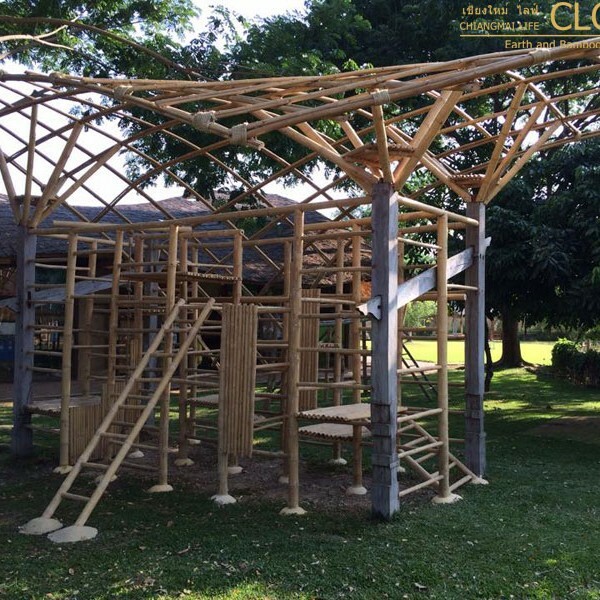 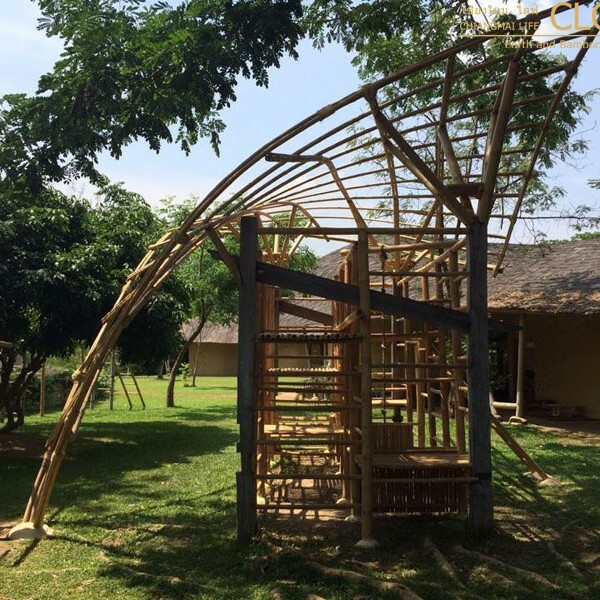 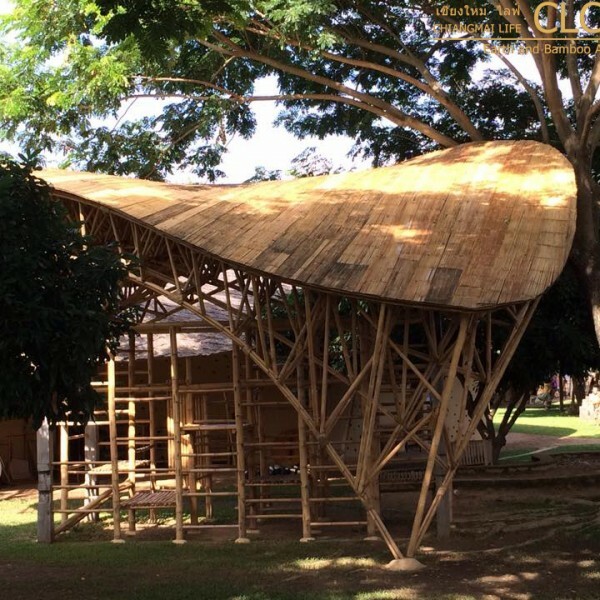 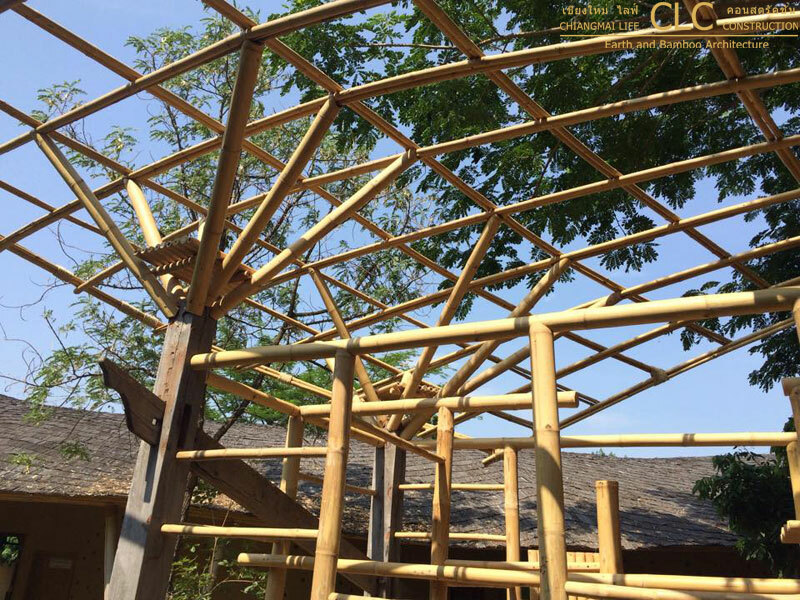 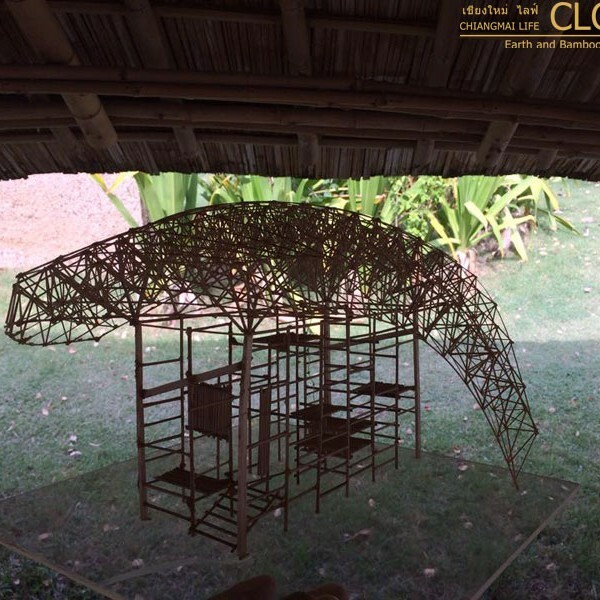 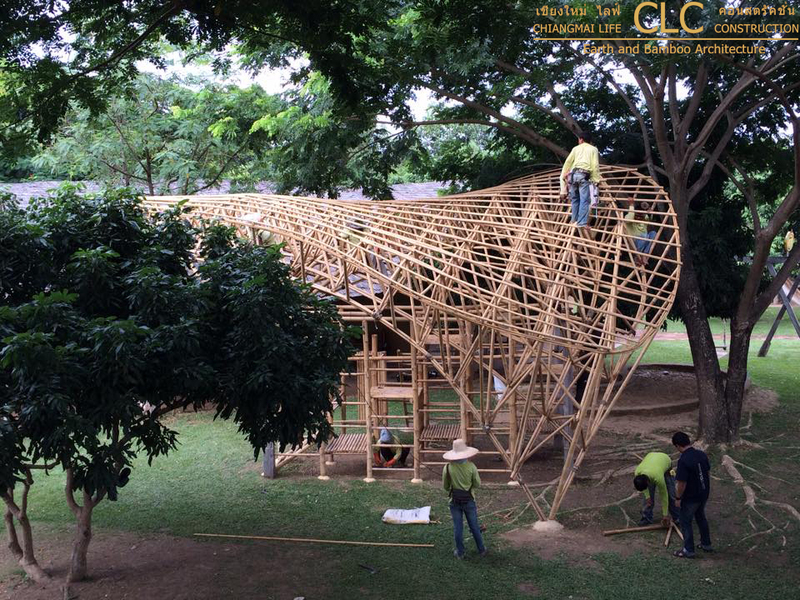 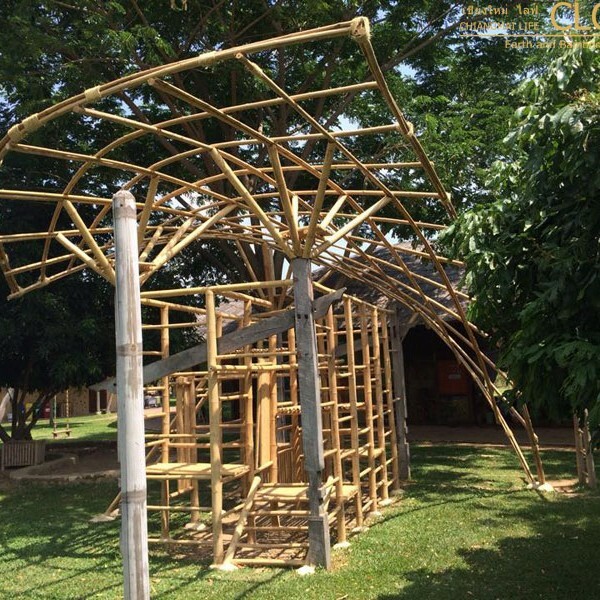 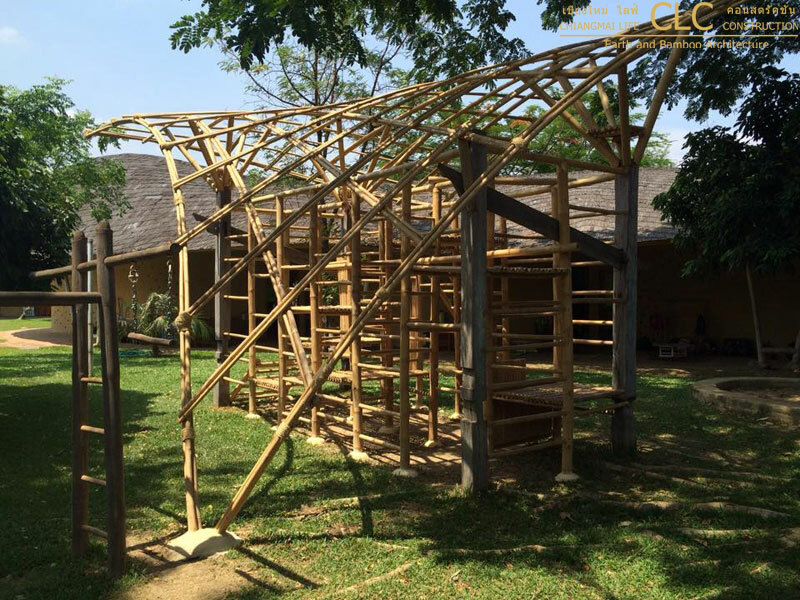 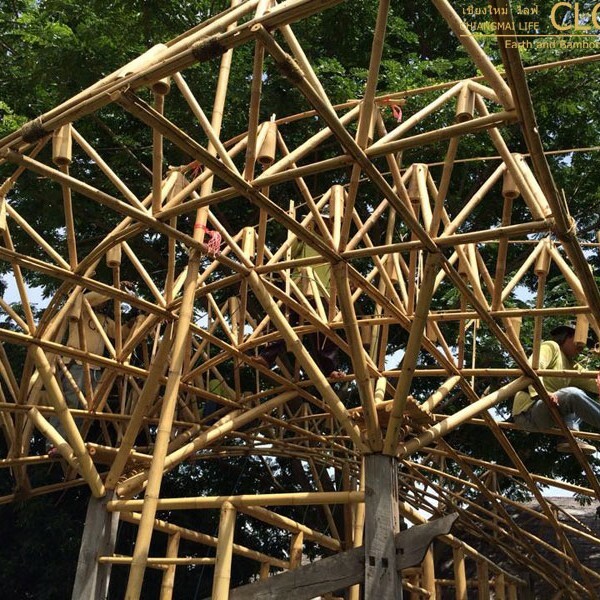 The bamboo roof protects against excessive sunshine and rain, therefore kids can use the playground all year long. 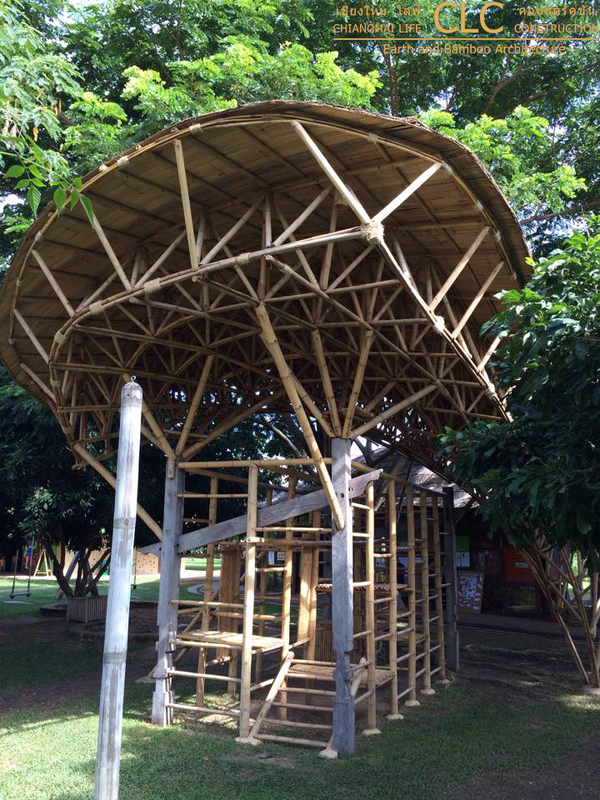 This is especially relevant for the tropics. 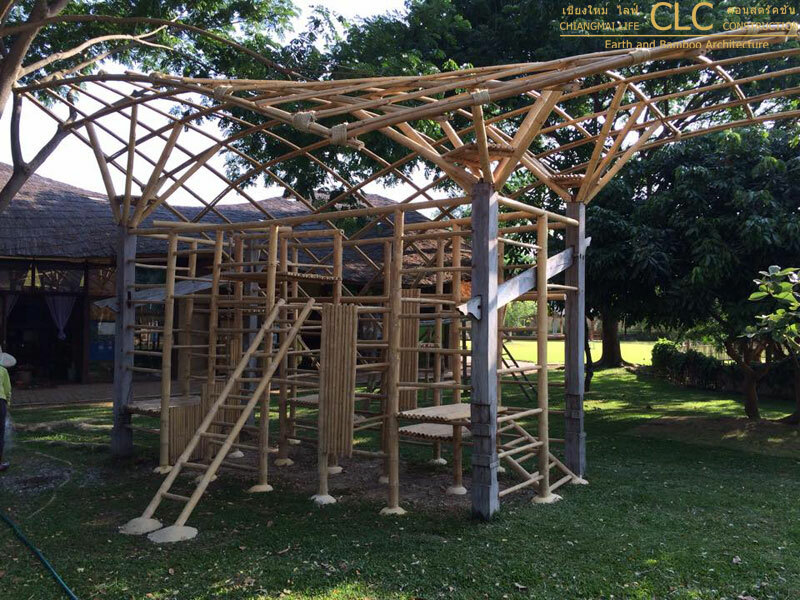 There are little cave like stations on different heights and the children choose where to stop and stay according to their ability. 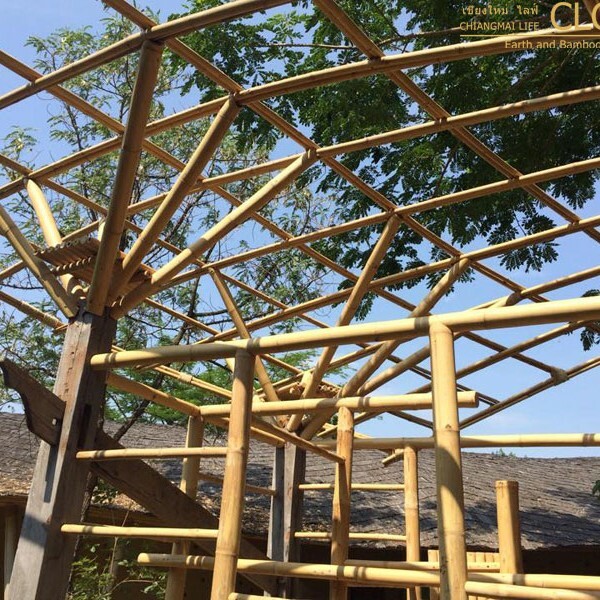 The bamboo is much warmer and softer to touch than the regular steel playgrounds which is why this playground has immediately become a favorite with our kids. 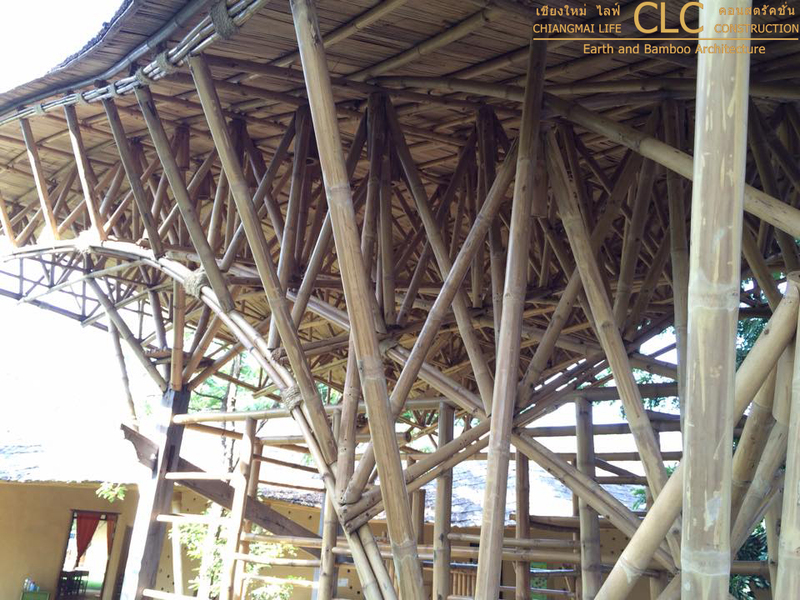 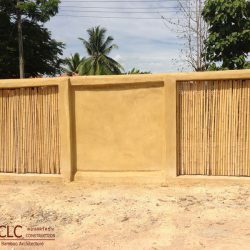 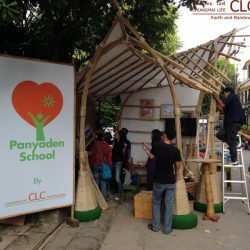 This project is related to another development by Chiangmai Life Construction Panyaden School.